I SUOI ALBUM SI TROVANO SU TUTTO IL TERRITORIO NAZIONALE E ANCHE ALL’ESTERO (SPAGNA, CANADA). ATTUALMENTE TONY RAY, VIENE INGAGGIATO PER NUMEROSE SERATE IN LOCALI, PIAZZE, TEATRI E DISCOTECHE, OLTRE CHE IN ITALIA, ANCHE ALL’ESTERO. Oggi grazie alla collaborazione di JOHN TOSO (Artistic Production) è stato pubblicato il nuovo Cd di Tony dal titolo: “TONY RAY The Best Of ELVIS PRESLEY and more…” prodotto da Sabino Mogavero per la IDYLLIUM Music Publishing. 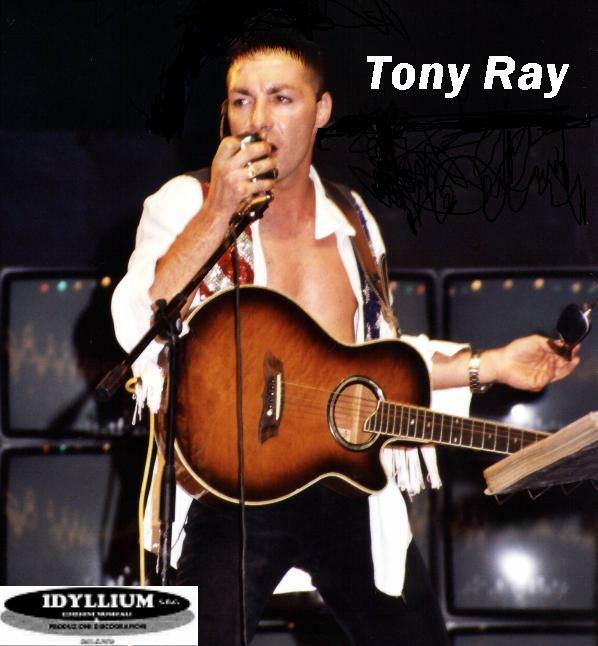 TONY RAY IS WITHOUT ANY DOUBTS AN EXCELLENT SHOW MAN, HOST OF VARIED T.V. TRANSMISSIONS (NATIONAL AND PRIVATE) AND WIRELESS, AUTHOR AND COMPOSER BUT ABOVE ALL A GREAT SINGER. CURRENTLY TONY RAY COMES ENGAGED FOR NUMEROUS EVENINGS IN NIGHT CLUBS, PUBLIC SQUARES, THEATRES, DISCOES IN ITALY AND ALSO IN FOREIGN COUNTRIES. 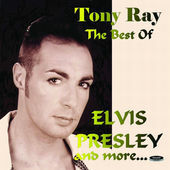 The New Cd for Tony; Title: “TONY RAY The Best Of ELVIS PRESLEY and more…” Produced by: Sabino Mogavero for Idyllium Music Publishing Milan Italy.